Want to introduce your children to music? There are some great children’s books about music on the market. 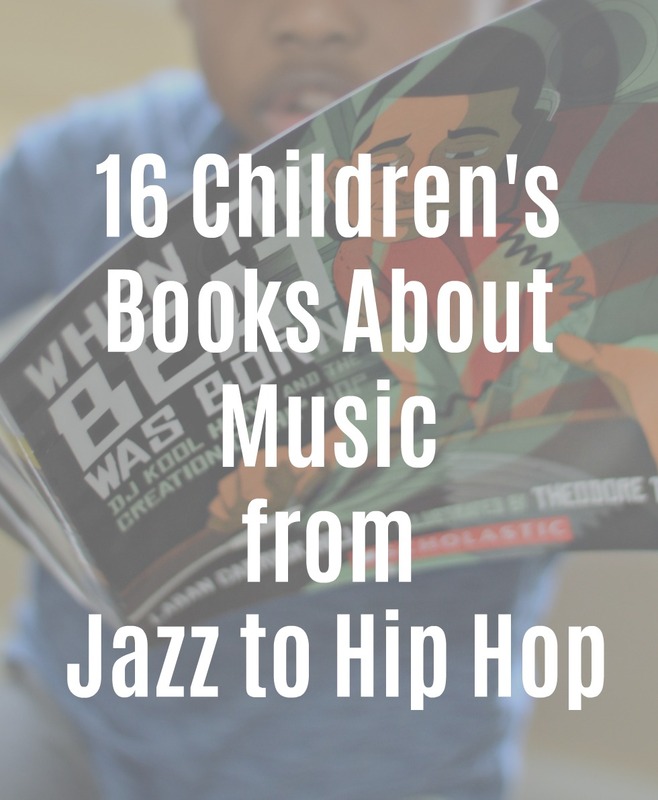 This is a list of 16 children’s books about music explores jazz greats to hip hop legends. A history lesson of musical legends and their contributions to music overall. Celebrate the history and be a part of the future. There are several books on the list that celebrate hip hop but I urge you not to start there because in my humble opinion, you can not truly appreciate hip hop without acknowledging the music and legends that came before it. 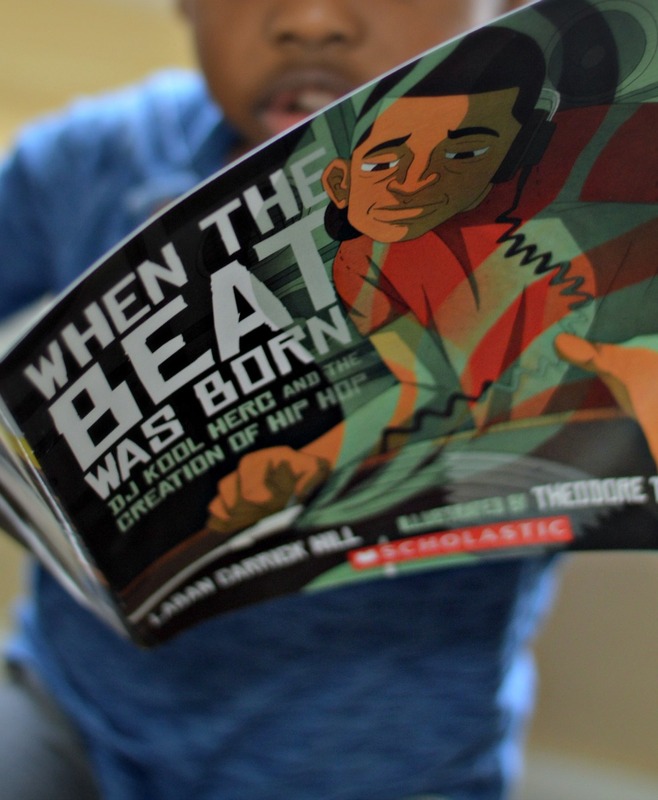 This list shows just how influential jazz music in particular is to the entire world of music and feels like the perfect way to introduce young readers of color and beyond to the art. So dig in to the list, build your library, celebrate the beauty of music from black people and do share with family and friends. I make a point to buy my kids at least one book from the list for every special day. Did you know that there is an Ella Fitzgerald cd for kids? You can checkout Miss Ella’s Playhouse but do read this book about how Ella got started in the world of jazz first. Piano is one of the instruments lots of children learn to play early on. One simply can’t play the piano and not get to know Duke Ellington. My daughter very much loves the trombone but we will start with piano lessons. One of the greatest musicians I know is my Uncle Wayne. While he can play many instruments, the way he makes the ivory keys sing will make you stop in your tracks. He approves this book about Duke Ellington. Mary Lou Williams began playing the piano at just 4 years old. Let that sink in for a moment. It’s pretty well known that Mozart started playing the piano at 4 years old so discovering Mary Lou Williams was the perfect way to show my children that the gift of musical talent is one that they too can have. This book shares the story of Mary as a child playing her piano for anyone that would listen. As a NYC girl, I was taught about the music scene in Harlem. When I got older, I would enjoy visits to Lenox Lounge for jazz music. It was at Lenox Lounge that I was first introduced to the music of Florence Mills. 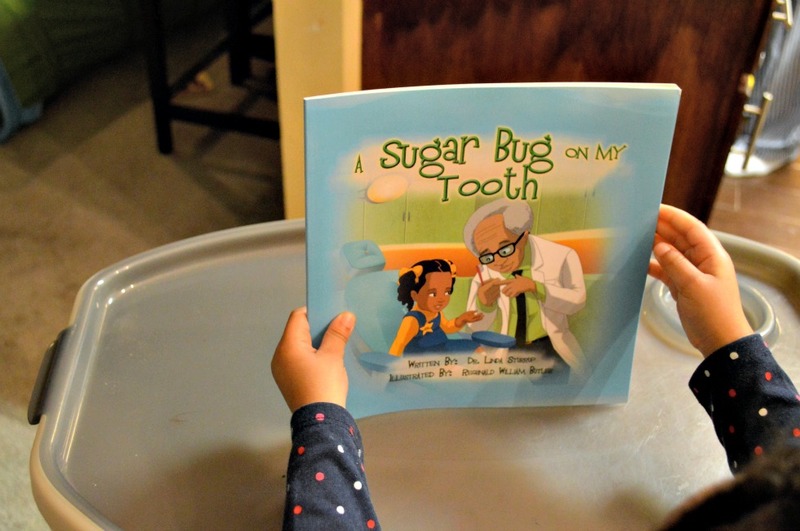 This was one of the first books Zoe received as a gift. It can be said that without Louis Armstrong the world would not know about Jazz. New Orleans is rich in jazz history and jazz music today so teaching your children about one of New Orleans very own is only right. Louis only had to hear a song once to own it. Is your child the next musical prodigy? One of my favorite music books for children because of it’s poetic flow, Josephine brings the one and only Josephine Baker to the littlest of music lovers. Josphine baker was not just an entertainer, she was a civil rights activist who used her platform to stand up for her people. While she could’t readily play on stages in her own country, the world got to know her and her many talents as she traveled abroad. You can find this book in multiple bindings but I’m partial to the board book version. Why its a visual and vocal delight worthy of hard pages that will last for generations. Kids will appreciate the realistic versus along with the whimsical ones which makes tis one a perfect introduction to jazz. As a poetry lover who happens to love Wynton Marsalis, I call this one a coffee table book for the young and the old. Take a tour around the alphabet with some of the most memorable jazz artist of all time. Wynton Marsalis shares his wisdom and pays his respects to the artist that paved the way for him. Meet the first Black woman to perform with the New York Metropolitan Opera in 1955. Opera is probably one of the least shared musical genres with our children. Marian Anderson is my first choice to get the conversation started. Because my Z fell in love with the trombone after a dad on the playground decided to treat all the kids to an impromptu mini concert, I was on the hunt for a children’s book featuring a female trombone player. I’d never heard of Melba Liston until I found this book. She is one of the greatest unsung jazz musicians of all time and the first female trombonist to play in the world of big bands. You can find videos of her playing on YouTube. Worth the listen once you introduce your children to the joy that is Melba Liston. If you have a budding musician on your hands, you definitely want them to know Troy ‘Trombone Shorty” Andrews. At 4 years old, Trombone Shorty appeared on stage with Bo Diddly at the New Orleans Jazz and Heritage Festival. At just 6 years old, he became a band leader. 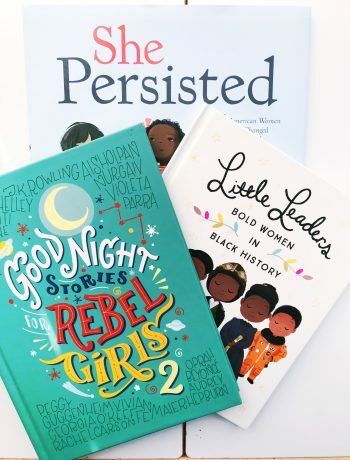 While many of the books on this list feature artist before your kids time and maybe even before your time, Trombone Shorty is the perfect living example of #brownboyjoy on brass. A book about John Coltrane written in song? Yes please. There is no discussion of music without the joy that is Coltrane. But who was John before Jazz? Take a read and see. 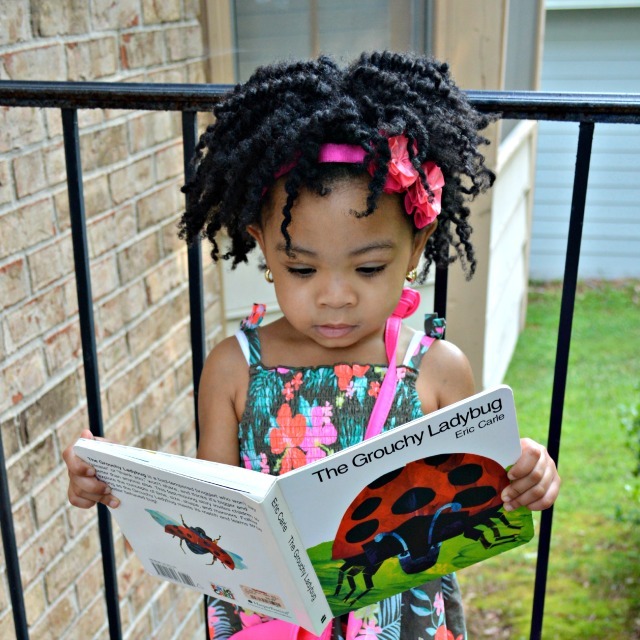 Get to know the words and then turn this book into a sing along with your littles. No list would be complete without an reggae entry. There are a few books written by Cedella Marley including One Love. Bob Marley made music for all. While some of his songs are too advanced for children, there are many we love. One of our favorite cd’s is Lullaby Renditions of Bob Marley. You can not talk hip hop to children or anyone else without talking about DJ Kool Herc. Plain and simple. This is how you discuss hip hop in a respectful way. Laban Carrick Hill and Theodore Taylor III do DJ Kool Herc and the creation of hip hop justice. Howie Abrams and Michael McCleer bring this brilliant hip hop alphabet to life with respect for the history and culture. Not only is the forward written by DMC, yes the DMC or Run DMC, a portion of the proceeds go towards the Jam Master Jay foundation which works to bring music back to schools. Poetry has always been my favorite genre. Growing up when people would walk down the streets of Brooklyn jamming to their favorite hip hop songs, all I could here was the poetry in the words. Even know I pay close attention to the rhythm and flow of the words. Poetry is an art form that I think deserves way more shine so this book was a no brainer to add to our collection. Plus, Nikki Giovanni is my all time favorite poet and serves as a great reminder that women are in the hip hop game too. I’m adding this one to the list for the teenage crowd and older. With the evolution of rap music, many of the younger fans have no idea about roots. This is a great place to start. Parents not familiar with the history and culture can learn a lot from this book too. This is particularly true for families that are of other races. Hip-hop and rap music should be studied while being enjoyed. Do you have any children’s books about music to add to the list? Leave a comment with your recommendations and why.